This year I have been focusing less on photographing birds and more on classic birdwatching. I have learned birds more quickly but sometimes miss the creativity that comes with photography. On Sat. 17 Oct., I returned to photography with a Grey Nightjar. I was on Lesser Yangshan Island, Zhejiang, China. I was walking alone and noticed the nightjar resting on a bamboo pole. It was hiding in plain sight; a few minutes before, I’d passed that site and failed to see the nightjar. I crawled through brush to within 6.5 m of the bird. The goatsucker took little notice of me, never moving except to open its eye a little. The moments with the nightjar filled me with pleasure. For those 20 minutes while I took the shots, there was nothing else in the world except this usually mysterious and elusive, now completely accessible and photographable, nightjar. 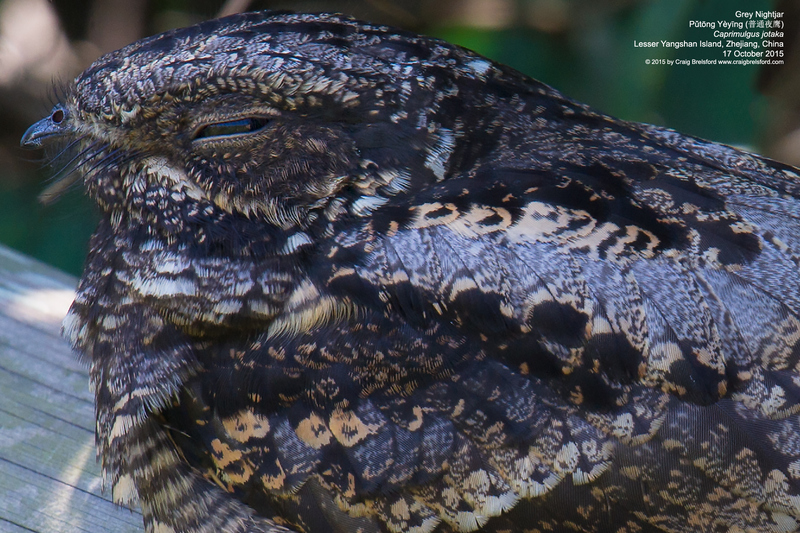 I admired the beauty of the nightjar and the efficiency of its design. This Caprimulgid is a flying piece of bark and leaf litter, a creature designed to hide by day, relying on its near-perfect camouflage, and at dusk devour flying insects. The long bristles around its tiny bill are the tools it uses to feed. 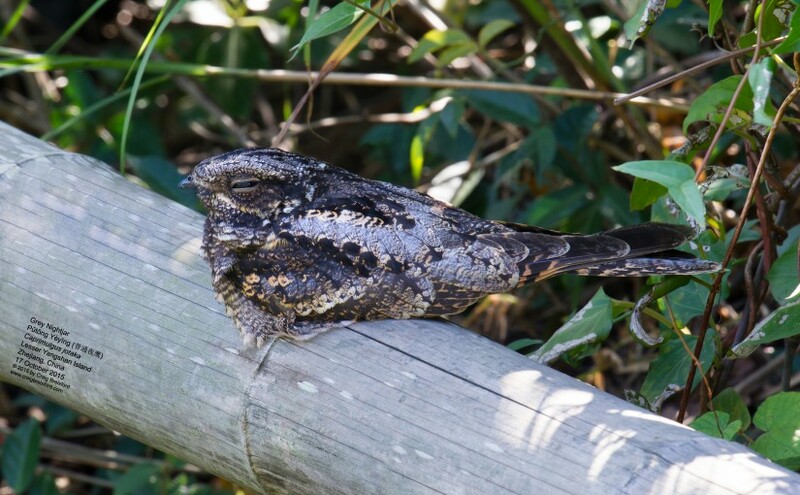 Posted on October 27, 2015 February 27, 2019 Author Craig BrelsfordTags Grey Nightjar, Lesser Yangshan Island, Shanghai birding, YangshanLeave a comment on Amazing Grey Nightjar!